Wesley Fullen (MDes, 2020) knows a thing or two about change. The 62-year-old’s first career switch came in 1985. 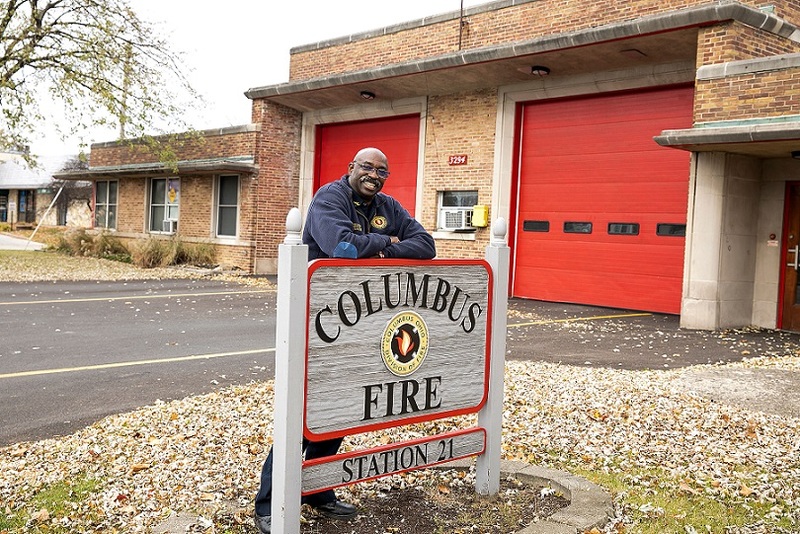 That year, Fullen joined the Columbus Division of Fire, leaving behind a job as the director of maintenance at a skilled care nursing facility in the city. His first assignment was on the ladder truck and medic vehicles at Station 2 at Fulton and Fourth streets downtown. So, in 1989, he made another change, entering medic school and obtaining paramedic certification. In 1990 he took an assignment on the medic vehicle at Station 16 on the corner of Weber and McGuffey roads. Soon he was certified as a fire service and paramedic instructor and taught at the fire academy and Columbus State Community College. Quickly rising through the ranks—lieutenant in 1992, captain in 1999, battalion chief in 2004—his responsibilities grew into directing the 911 call center and supervising emergency medical services, medics, and rescue crews. Then another change, though not self-directed: The requirements for advancing in the firefighting ranks changed from strictly competitive testing to needing a college degree. Fullen headed to Capital University and earned his BA in psychology. 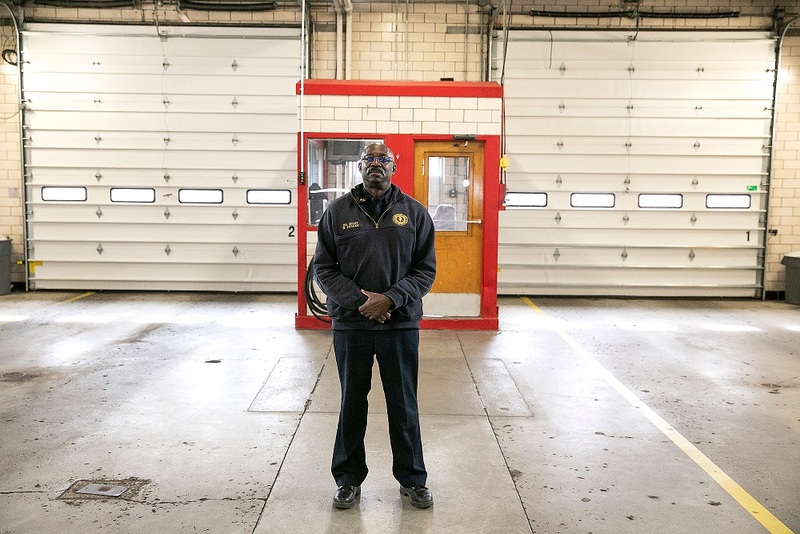 Today, Fullen has administrative oversight for five stations and is the incident commander at fires and anything else that requires an emergency response. He’s also a Master of Design candidate at CCAD—a big move he made because he has one more career change in mind. “I came to CCAD to find talented individuals to help with a project I am planning to execute when I retire,” he says. That project? Identify a location in Belize, Central America, to build a residential resort that would include a traveler’s inn, private residences, and community areas complete with pool and spa. 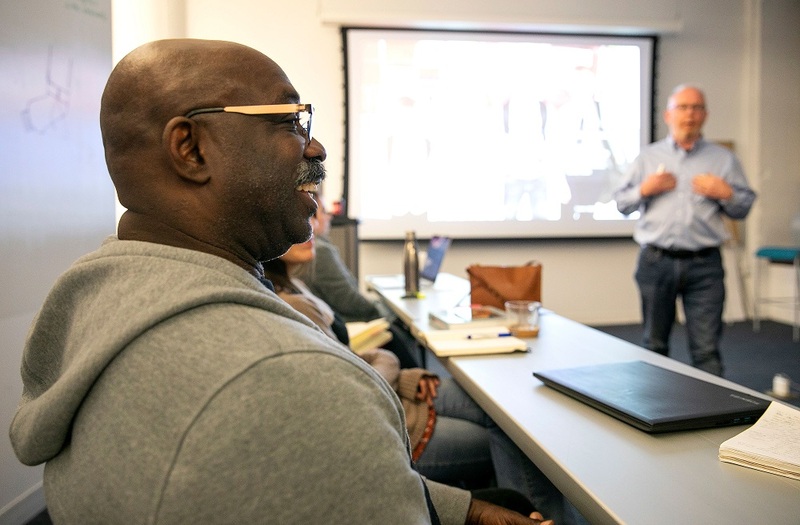 Fullen landed on CCAD’s MDes program because it could spark two fires under his dream: 1) connect him to his own and others’ creative capabilities, and 2) teach him to use design thinking to bolster the entrepreneurial and management skills he needs to make it happen. We caught up with Fullen to talk change and growth and seek his advice for others forced or seeking to make a change with graduate school. Why study psychology as an undergraduate with a decade’s-long fire service career? For me, firefighting and psychology are not disparate paths. The fire service is considered a paramilitary organization, especially in its organization and command structure. Orders are given and the expectation is they will be followed without question. That model worked great when the majority of firefighters had military experience, not so much if they didn’t. Understanding how best to instruct, motivate, and lead individuals without that experience and how to interact with the public in non-emergency settings or during medical crises were all areas where the psychological "lens" was helpful. How has your time in the fire service prepared you for business? The fire service is much broader than, I think, most people realize. It has the same structure as most businesses. There are the usual administrative, human resources, training, logistic, and finance functions that support the operations of emergency response, fire cause determination, fire prevention, and public education. There are industry-specific business processes, performance metrics, and standards. 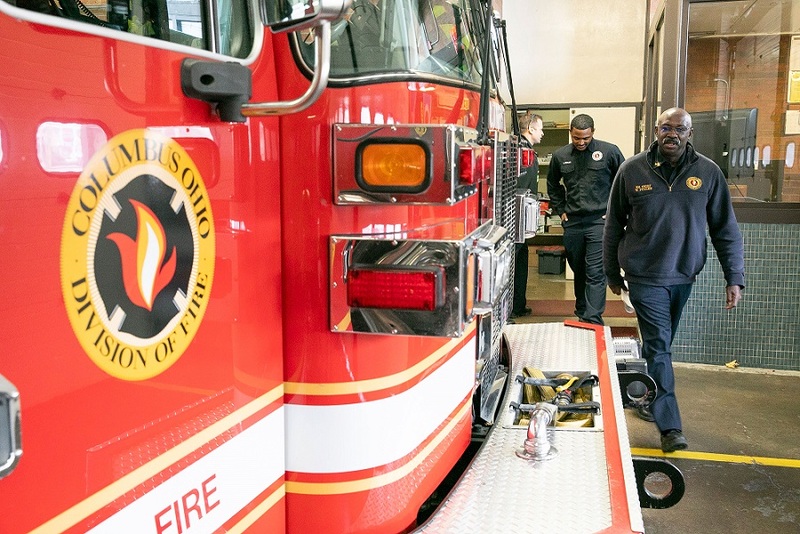 There is a wide range of industries that support the fire service; specialized vehicles, communications equipment, personal protective equipment and apparel, and emergency medical supplies. From my perspective, the fire service and related industries would benefit greatly from design thinking processes. What appealed to you most about CCAD’s MDes program and what do you hope to do after graduation? As I looked to see who I could talk with [for support on his residential resort project], I became intrigued with the MDes program, understanding that my participation would provide additional knowledge and skills that would enhance both my ability to work effectively with the creative talent I needed and to manage the various business aspects to ensure my project's success. After graduation, and actually while in school, I plan to use my new knowledge and skill set to address problems and opportunities at work and in the service of a social justice organization with which I am affiliated. At the same time, I will use what I am learning to advance my project: develop and refine the business structure and processes, broaden my international relationship building, and prototype the unique structures, structural components, and construction processes at the heart of my project. Any advice for people thinking about changing their career or going to graduate school? During the past few years I’ve planned to make a smooth transition from my career to something I would find exciting and challenging. My residential resort project has provided the “something;” my participation in the MDes program is definitely helping with the “smooth.” I don’t have any advice for people on the fence about pursuing a master’s degree but I do have an observation: In my case I’d looked at master’s programs for years—business, psychology, education—but didn’t make the move until it felt right to me. 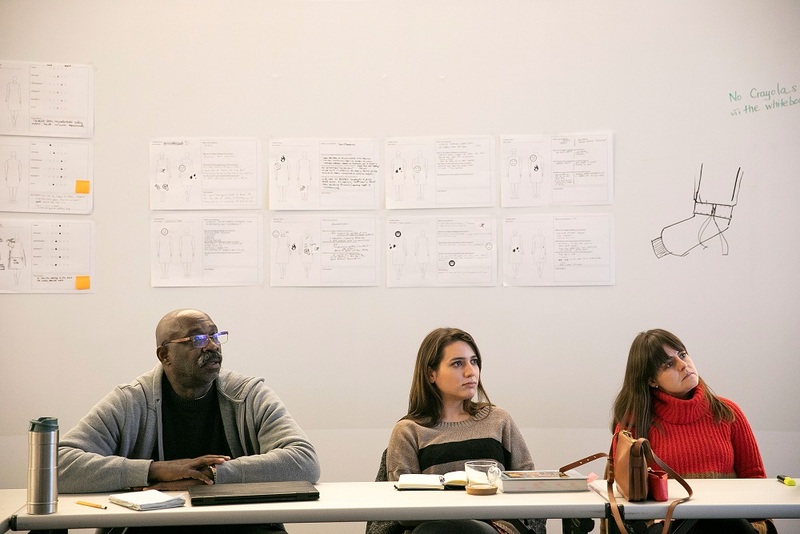 Learn more about CCAD’s Master of Design in Integrative Design.